Now that a few days have passed since the first ever all-German Champions League final, we have essentially entered the football offseason. But let’s talk about that final for a moment. That incredible final which (fittingly) came down to the final moments of the match in a low-scoring affair, and was uncharacteristic of the two clubs involved. Two teams known for their explosive offense were all knotted-up at one goal apiece heading into the 89th minute Munich star Arjen Robben ended it all. While the match gave the fans all over the world an appropriate finish to a wild Champions League tournament, it also helped to improve world football overall. No longer are the champions of Europe located in England, or according to recent success, nor are they located in Spain, as many would have you believe. World football is about being the best in the world – a title that Champions League runner-up Borussia Dortmund almost proved regardless of being considered as less of a threat than the likes of Munich, Real Madrid, Manchester United, etc. Dortmund reached the final in incredible fashion, scoring at a torrid pace throughout the tournament and beating teams no one thought they had any business competing against. It’s a great time to be a football fan, as there are more than a dozen clubs all capable of going head to head against the best in the world. However, now that it’s the offseason we can start looking ahead to next year. While as fans we will miss the excitement of the matches, there is a certain allure to the question of where certain players and managers will end up before next season begins. Plenty of clubs who Bayern Munich and Dortmund left in their wake on the road to Wembley are looking to beef up for the coming year in hopes of preventing such defeats from occurring again. Barcelona, still reeling from their crushing defeat at the hands of Bayern, have signed the very promising young Brazilian star, Neymar. The club was considered one of the strongest ever last season but could not overcome Munich’s outstanding offense in the Champions League semi-finals. How about the managers? Such as former Real Madrid manager Jose Mourinho. Will he actually be making his return to Chelsea for 2013-14? 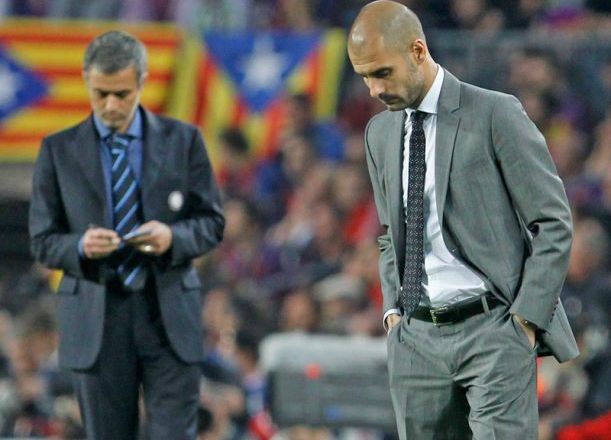 If so, we’re not too far away from an exciting clash of big-name managers as Mourinho will lead Chelsea (the Europa League winners) against Pep Guardiola and his European champion Bayern Munich squad for the European Super Cup. Could there be a bigger stage for Mourinho to kick off his return to Chelsea? Unlikely. It may be the end of May right now, but the football intensity is still heating up. Just trying to keep up with all the transactions between now and the fall will keep you busy. So let’s sit back, enjoy it and look forward to our favorite teams enjoying success next year.